Carsten Uhlig, Munich, Germany said.. I am German and joined the NALS Summer Camp, because my brother is doing an exchange program in Coimbatore and wanted me to be with him. I thought: nice idea, a fun camp, doing some climbing, some walking, being in Nature and a cooler climate. But, when I finally arrived, I realised that this camp consists more than that. You also develop your own strengths, gain confidence and become more aware of yourself. Through high level teaching which includes fun games / challenges the kids learn a lot about themselves and their environment. 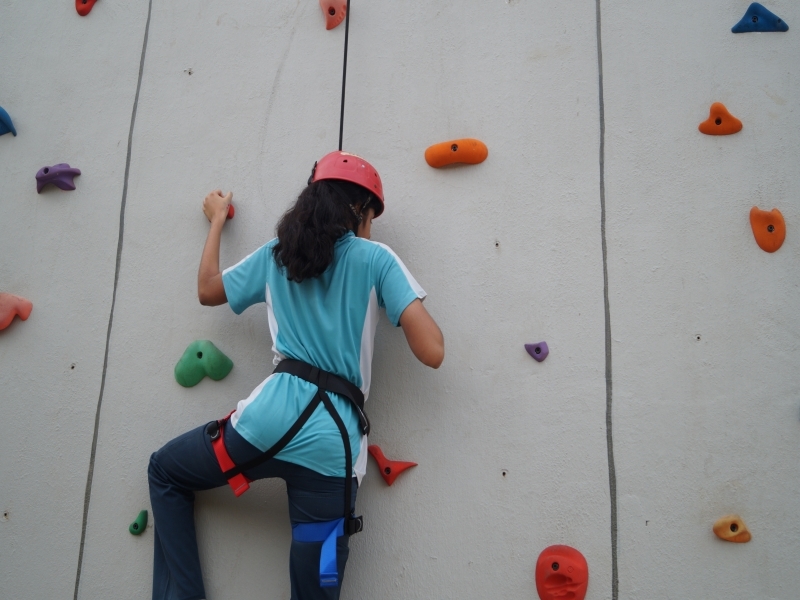 Of course, the camp consists of basic climbing, walking, seeing nature and more. The food that you get is amazing, even for me, as a German college student. All in all, kids learn to see their own strengths and learn to through activities. They explore and develop their own confidence in such a way that they will also increase thier physical health through adventure. And the teachers are amazing. For me, as a German, this is a very surprising fact that such a modern approach in a huge country with more than a billion people, who mostly are traditional, can succeed. Definitely a recommendation for every parent and their kids. Principal, Vivekam Sr Sec School said.. The adventurous trip to Coonoor which was arranged by our School with the support of NALS was really a time of learning for the students. It was an amazing journey which exceeded our students’ expectations in every respect.Students were enchanted by nature’s beauty.This adventurous trip made children a better athlete,a better friend, a good leader, self reliant and tougher physically and mentally. They enjoyed a lot and its sweet memories will remain in them for ever. Thanks to the NALS team for making this trip so special. We thank you for your exceptional service and professionalism. Expecting the same co-ordination for the next trip. Rajesh, N - Executive Holiday Activity, Sterling Holidays said..
Its been an excellent and well appreciated effort from NALS, who had made an outstanding performance / commitment in engaging M/s. Informatica group in rope activities even though it was continuously raining. Greetings! I express my gratitude for taking care of my son Serwin.S.Williams in April 17 to 23 rd camp at Coonoor....!